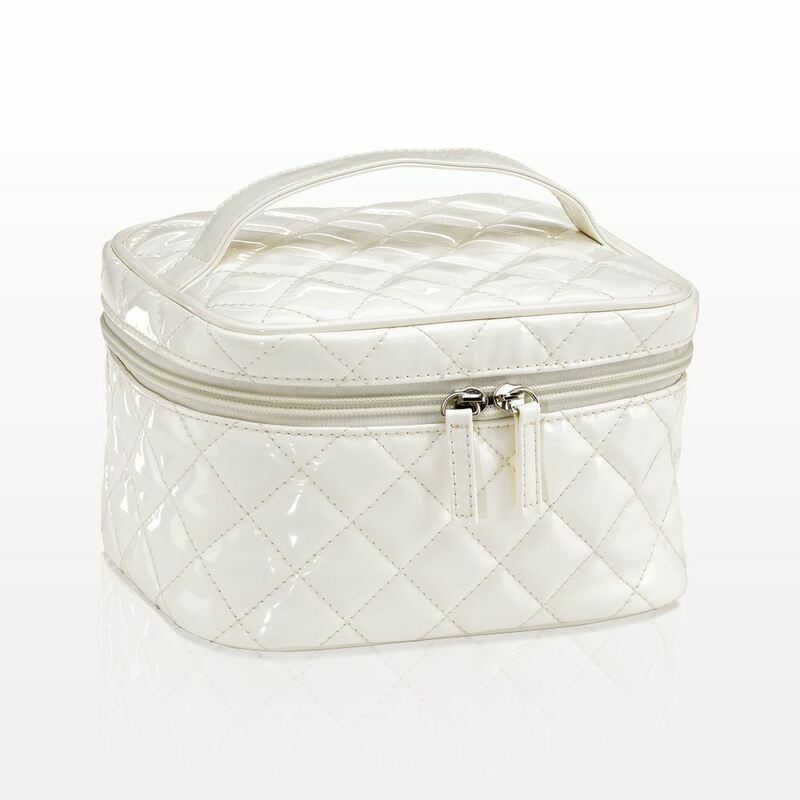 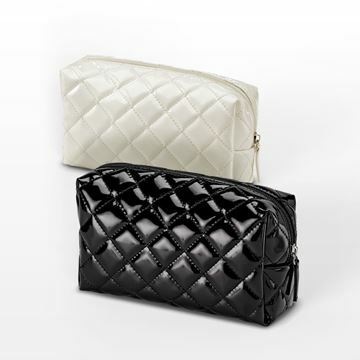 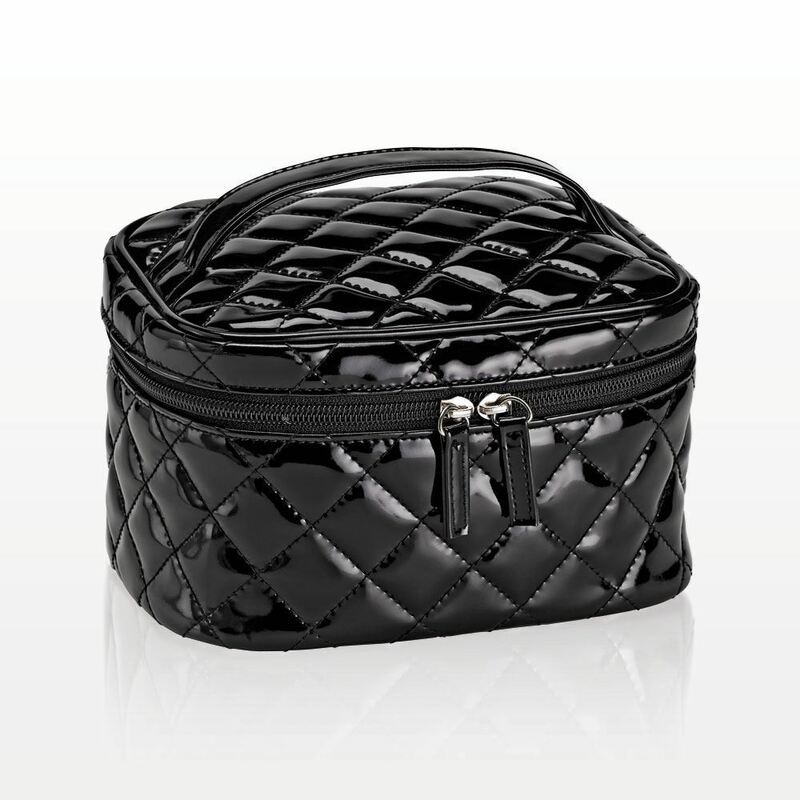 Carry all of your essentials in this elegant, fully lined small cosmetic bag with zipper closure from “The Quilted” Collection. 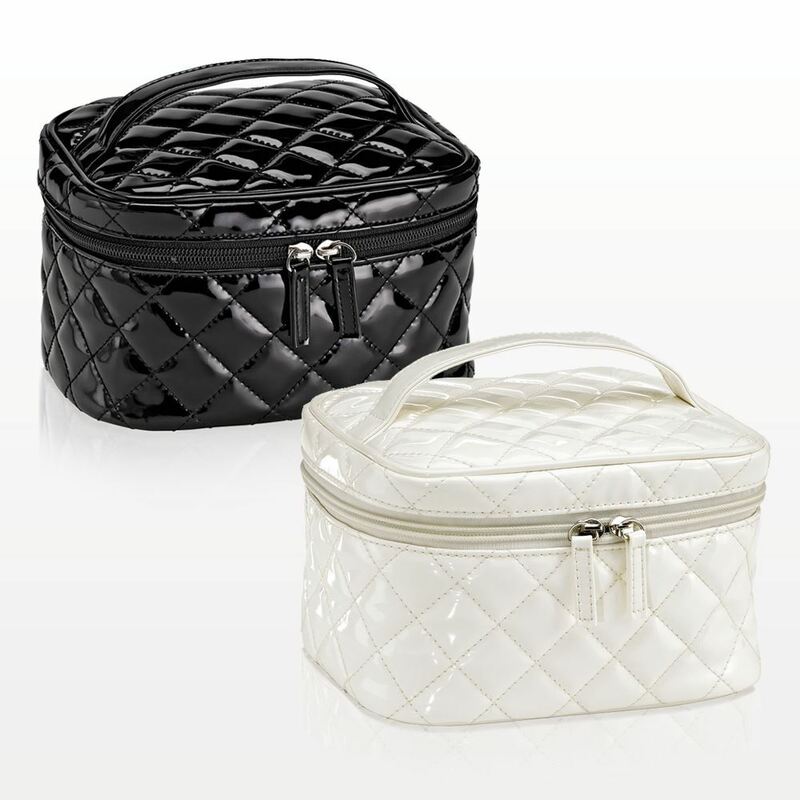 The polyurethane material is stitched with a quilted pattern and has a luxurious appearance. 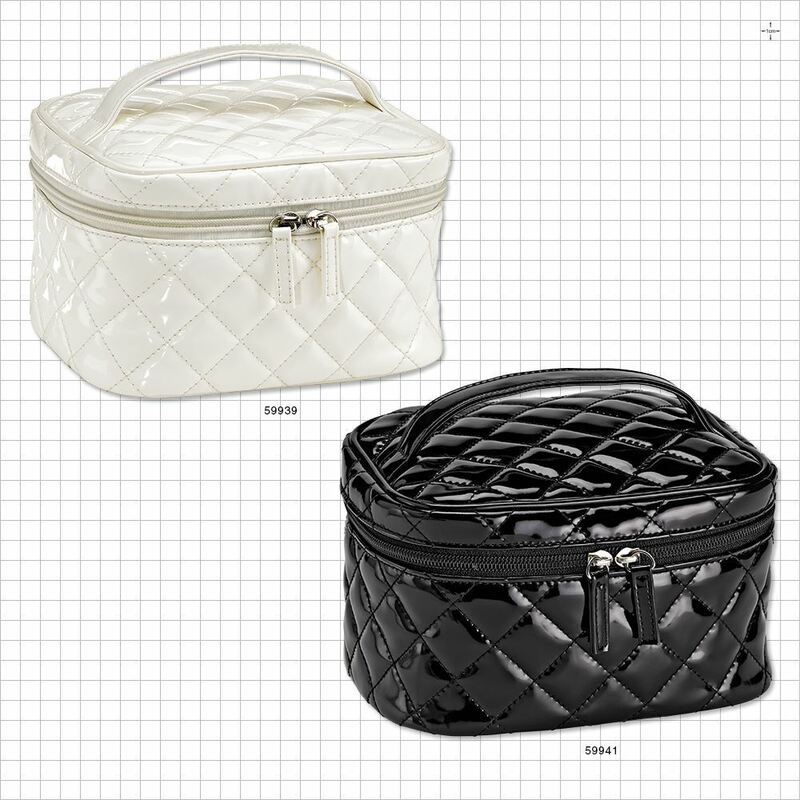 This bag also has an inside zipper pocket for added convenience and is ideal to be sold at retail or offered as a gift with purchase. 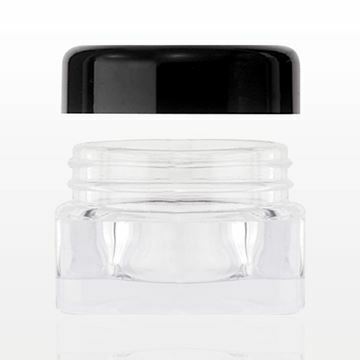 138-139 of our 2018 Catalog.